Weighs approx 5 lbs (2.2 kg). 3 holes at the top of the plate offer a range of height adjustments for the buoyancy cells and the cylinders. In addition, a corresponding lower center slot allows for lower band bolts that are misaligned. 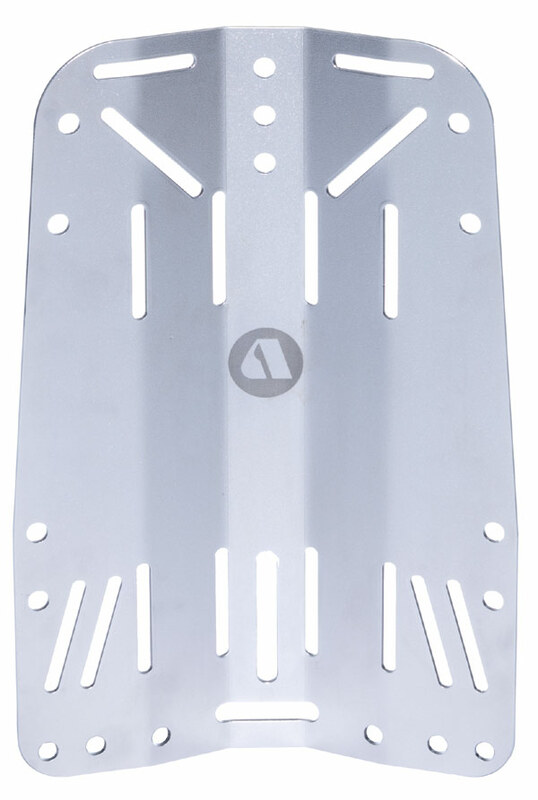 Textured, electro-plate finish and a laser-etched Apeks logo round out the look of the plate. Также доступна более лёгкая алюминиевая спинка APEKS.